The beautiful NEW HOT LIPS collection has been created in collaboration with 12 incredible, brilliant, hypnotizing women for an incredible charity: Women for Women International! 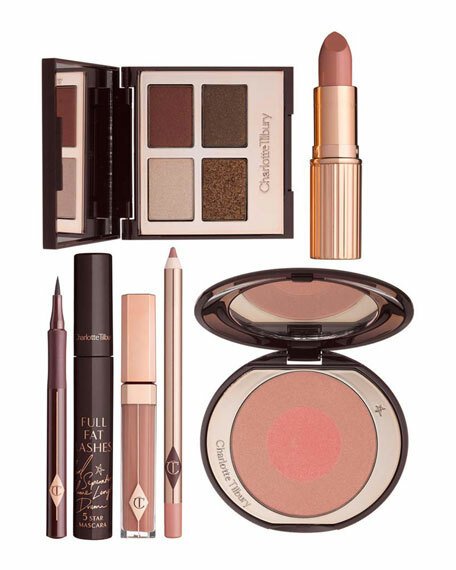 Featuring Charlotte Tilbury's revolutionary, iconic, square-angled tip that is designed to mimic a lip brush, as well as my CEW award-winning formula enriched with Orchid Extract, and volumizing 3D pigments for cashmere-soft lips that look lit from within. A fresh, pinky coral inspired by the sunsets of Malibu and Bondi Beach. This shade perfectly matches Miranda's effortless fresh-faced beauty. The colour contrast makes her blue eyes light up and sparkle! Using lighting trickery, pigments and powders is a trick Charlotte uses all the time on photo shoots, and has been working for years to re-create the effect in the slick of one lipstick. Antioxidant Lipstick Tree and soothing orchid extracts soften, protect, and hydrate for healthier, younger-looking lips. 3D glowing pigments create the illusion of lit-from-within lips that appear wider and fuller. Revolutionary, square-angled tip mimics the shape of a lip brush for precision application. A perfect blend of oils, triglycerides and waxes glide on for buildable, long-lasting colour. Ideal for a buildable and long-lasting, cashmere-soft matte finish. 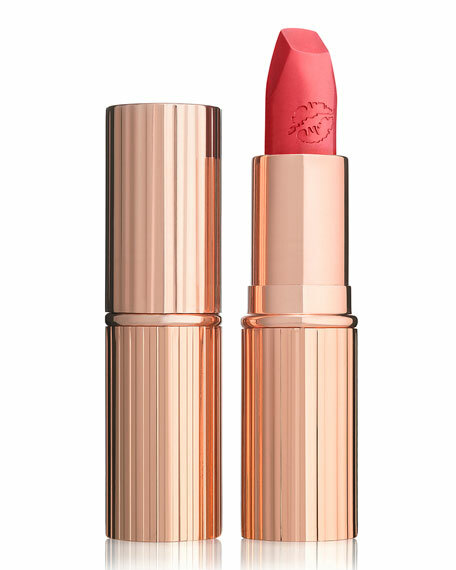 Resize and reshape the lips with LIP CHEAT Lip Liner in PINK VENUS (sold separately). Fill in the lips for added intensity. 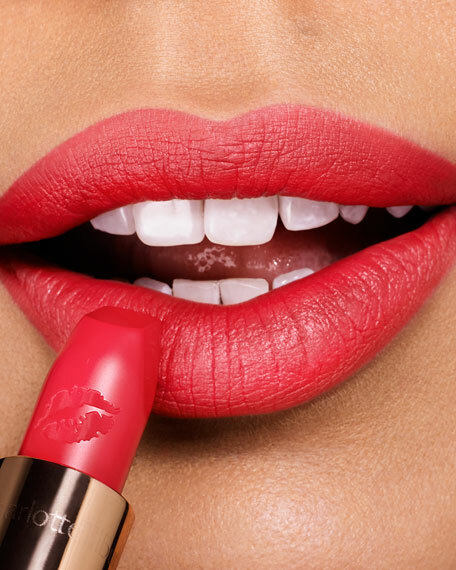 Apply straight from the bullet for fuller, wider, lit-from-within lips. For in-store inquiries, use sku #1891663.